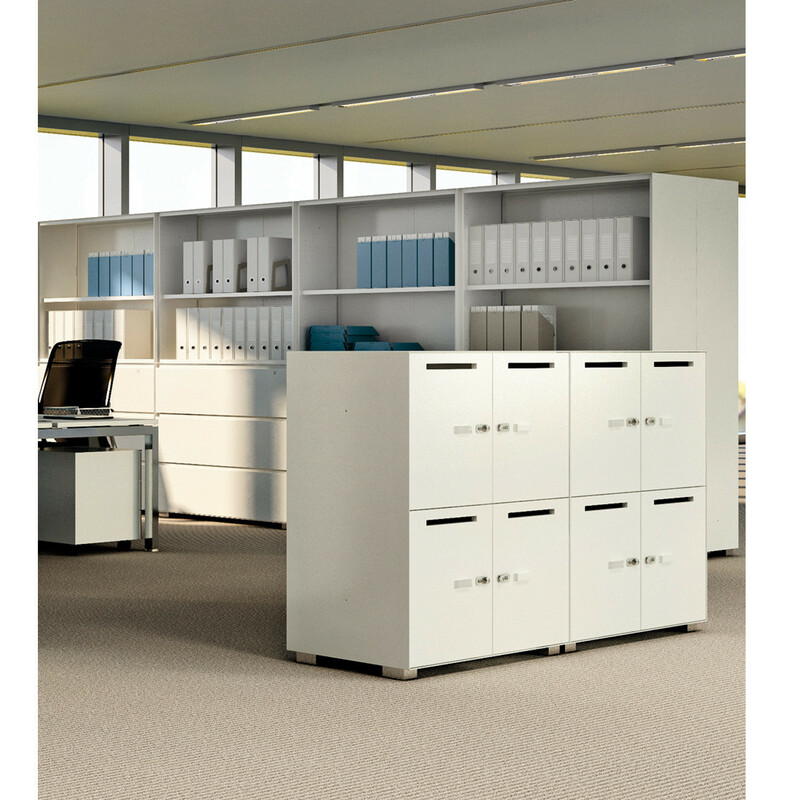 Primo Office Lockers provide secure personal office storage for modern open plan office environments. Primo Lockers have a combination lock mechanism making them ideal to store one’s personal belongings and other items such as laptops and tablets. Made of steel and finished in standard colours: aluminium, white and light grey, the Primo Lockers, designed by Takiro Yuta for Dieffebi, will be very useful within the office as they also include a letter slot for personal or private mail. 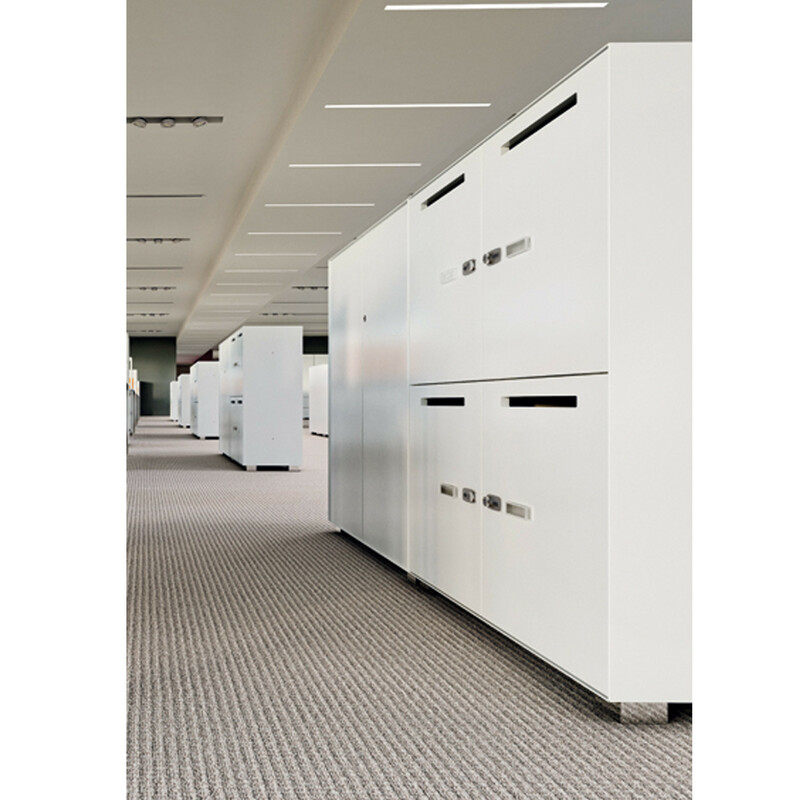 The Primo Storage Collection comprises: Primo Acoustic Cabinets; Primo Tambour Cabinets; Primo Recycling Unit; Primo Filing Drawer Cabinets; Primo 1000 Cupboards; Primo 1000 Door Cabinets; and the Nice Ped Pedestals which are the Primo Collection’smobile storage accessory complement. You are requesting a price for the "Primo Office Lockers"
To create a new project and add "Primo Office Lockers" to it please click the button below. 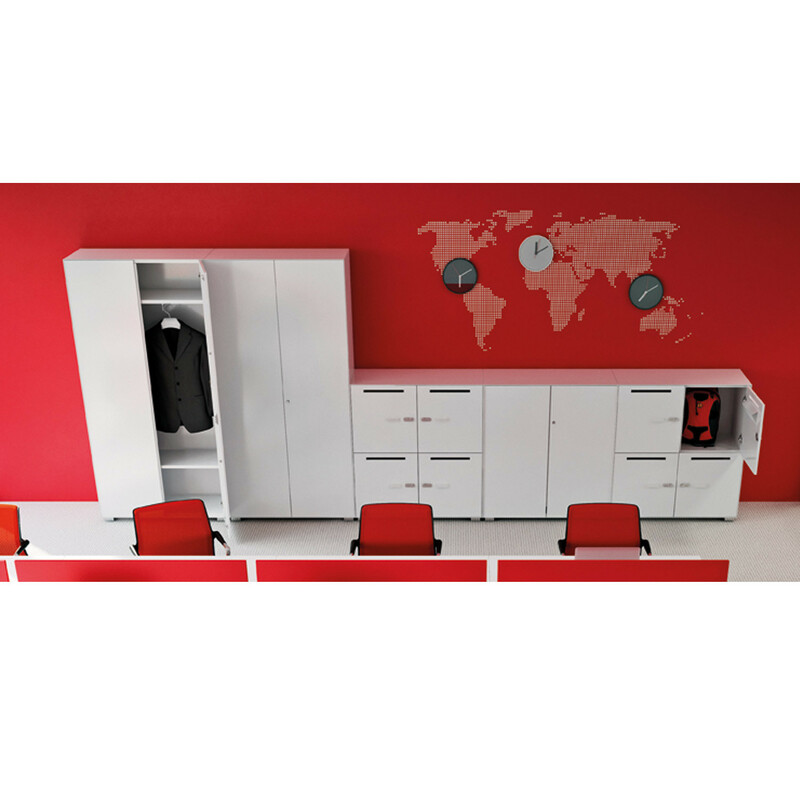 To add "Primo Office Lockers" to an existing project please select below.